Remember a couple of weeks ago when I hinted at a new adventure? Well, hold onto your hats because it’s announcement day! 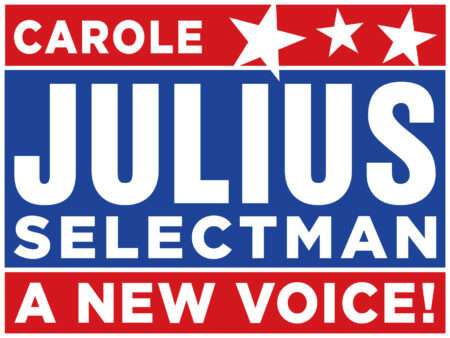 That’s right, I am running for selectman in my town! I’m super excited about this opportunity to serve my community in a valuable and important way and these days it’s all about making lists, preparing to discuss my position on local issues, and getting ready to hit the campaign trail. I am excited to announce my candidacy for Selectman in the Town of East Bridgewater. I care deeply about this community and want to bring a new voice to our town government, a voice that will be positive and enthusiastic, a voice that will speak up for this community, a voice that will promote the will of the people. There will be many issues that arise and decisions to be made in the next three years and I believe that my extensive background in the public sector makes me uniquely qualified to work with the other selectmen, the town administrator, and the boards and committees in our town to make East Bridgewater an active and vibrant place to live. I look forward to running a positive campaign, meeting citizens, listening to your concerns, and tackling challenges. 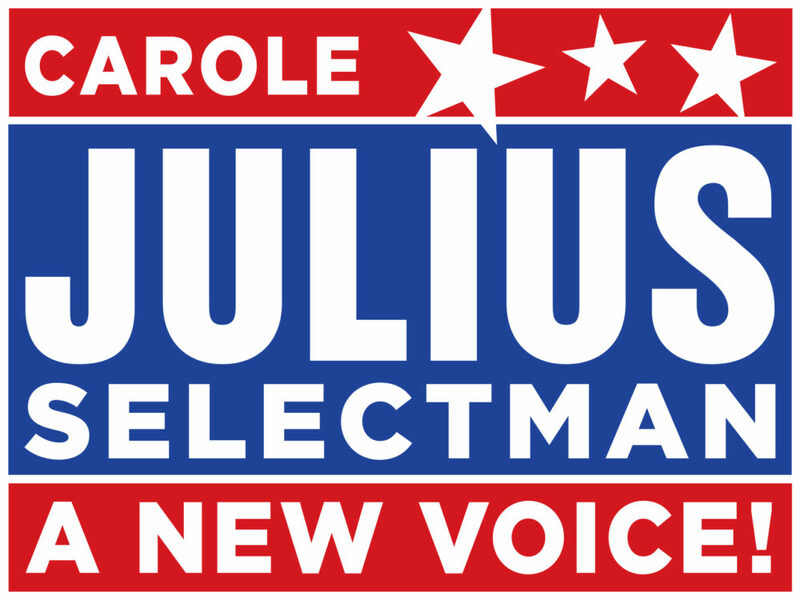 I invite you to visit The Committee to Elect Carole Julius for Selectman or the committee’s Facebook page to learn more about my background and qualifications. Thank you. I’ve thought about running for years and now seems like the perfect time to take this leap. I’ve got the full support of Dale, my family and friends have already started to help in any way possible, and, as the expression goes, I’m in it to win it! This is SO COOL, Carole! What a fantastic opportunity for you and your town. Wishing you all the best! Congratulations Carole! You’re a wonderful example of women getting out there and sharing their gifts to make this planet a better place for all! Wishing you all the best as you hit the campaign trail. Best wishes for a successful campaign! As I told you before, this is AWESOME! Best of luck!! Wow what an adventure! Good luck. That’s fantastic, Carole!! Wishing you all the best… and a WIN!!! Well done! It is good to have new voices in the mix. Well, that’s…. EXCITING! I hope it’s a positive experience, before and after the election. Passion & compassion are what we need in government at all levels. Good luck! This is SO GREAT Carole! You will be a fine selectman and East Bridgewater is a lucky community! That is exciting! I think you would make a great selectman. Good luck! Wishing you all the best for a successful campaign! WOW! Good for you! I hope that your campaign goes just as you wish, and that when the votes are counted, you are the winner. Best of luck and keep us posted. You’ve got my vote! Unfortunately I live in Oregon so it won’t count but still! You have great energy, positive outlook, and lots of smarts. I can’t imagine a better candidate. Makes me wish I could vote in the East Bridgewater election, but I live in Chelmsford, MA. Great!! You seem to always have a positive attitude, and your problem solving skills seem awesome. ?????? Just posted a comment and the question marks were supposed to be exclamation marks. I apologize. ?
? iPad error, mot me. Good luck! I admire your energy and I love the fact that you state that you want to run a positive campaign. All the best ? Wow! That’s great! Good luck with the campaign! I have always enjoyed your posts about your town. It’s obvious how much you love it! Congratulations, and here’s to an overwhelming WIN! Right On!! Good for you!! This is very exciting! I wish I lived closer so I could help you! Wow, Carole, this is exciting! You will be such a positive influence on local government. Your attitude is so positive, and as most women, you will see many more sides of the issues than most men do, and I am confident that you will always do the right thing. YES, I know that from watching your blog for many years. Your town will be so lucky to have you! Congratulations and my very best wishes. So very proud of you for taking the opportunity to serve. Your community will be enriched. Congratulations! What an exciting adventure you’ve taken on. Best of luck with the election! This is very exciting! Go, you! Best of luck! Go Carole! Your community is lucky to have someone as dedicated as you! Yea you-can’t wait to see where this adventure takes you. Go, you! What an adventure you are in for!